But with the Olympics on the horizon, this year could be very different. 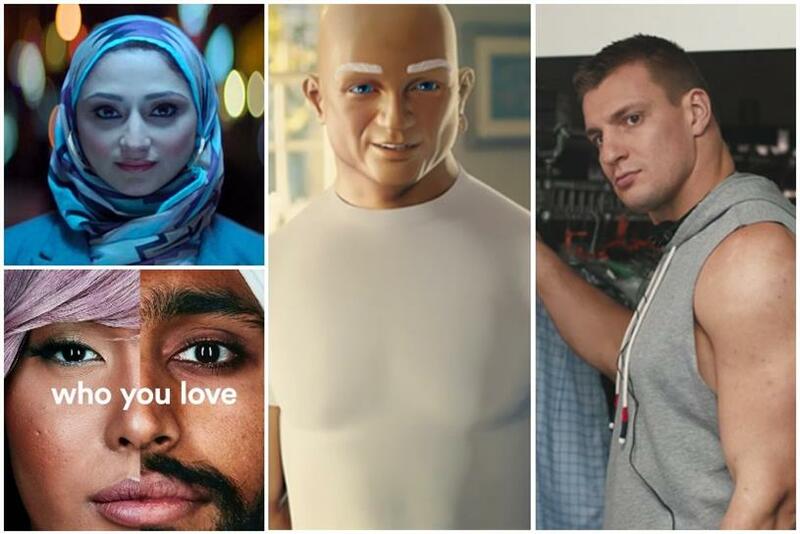 Perhaps thanks to the chaos following the 2016 election, Super Bowl ads last year that went for big, emotional messages struck gold with viewers. That’s one of several takeaways from a just-released impact study by ad tech firm Unruly, which helps brands craft emotionally resonant videos. "The Super Bowl used to be about who could create the funniest ads," said Unruly president Steven Sottile. "The success of last year’s nostalgia, warmth and pride came through for brands who went against the grain and made sure their statements were authentic and bulletproof." To determine the success of a video, the company uses a proprietary EQ score, which quantifies brand recall, authenticity and purchase intent. Last year’s highest-scoring ads included earnest entries like Hyundai’s "A Better Super Bowl," Coca-Cola’s "It’s Beautiful" and Budweiser’s "Born the Hard Way." The sole humorous winner was Mr. Clean’s "Cleaner of Your Dreams." 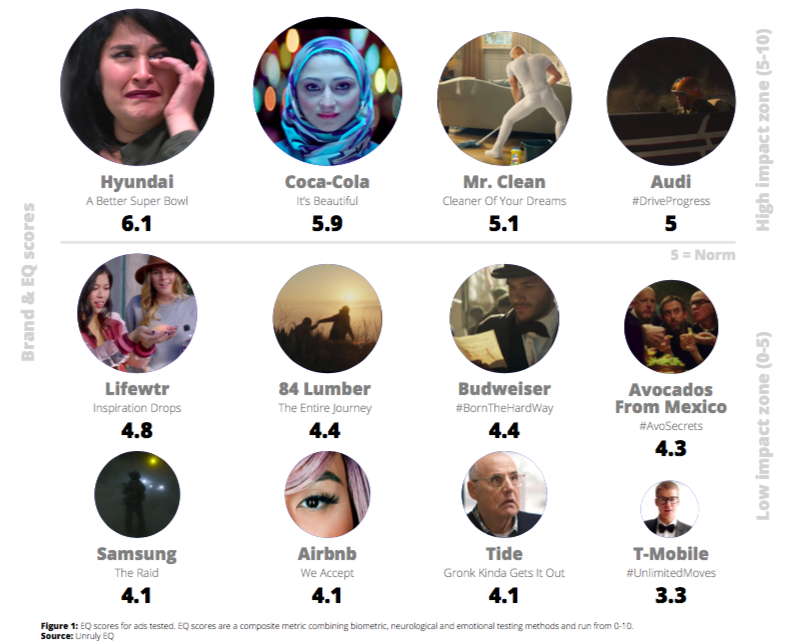 Hyundai’s ad topped the leaderboard thanks to its wide range of emotional evocation, which consisted primarily of happiness, warmth and pride but complemented and heightened those responses with touches of sadness and nostalgia. By choosing a social cause—supporting veterans—that most Americans can get behind, Hyundai ensured a positive reception independent of a viewer’s political beliefs. And thanks to the seamless integration of Hyundai tech, the heartfelt tone came off sincerely. "It hit on the right emotions that laddered up to the brand, and hit them hard," Sottile said. "If it hadn’t been authentic to Hyundai, they would have been called out on it pretty quickly." Instead, the spot got over 26 million views on YouTube and widespread positive press. But that resonance didn’t translate to widespread social sharing—another result that the study breaks down. 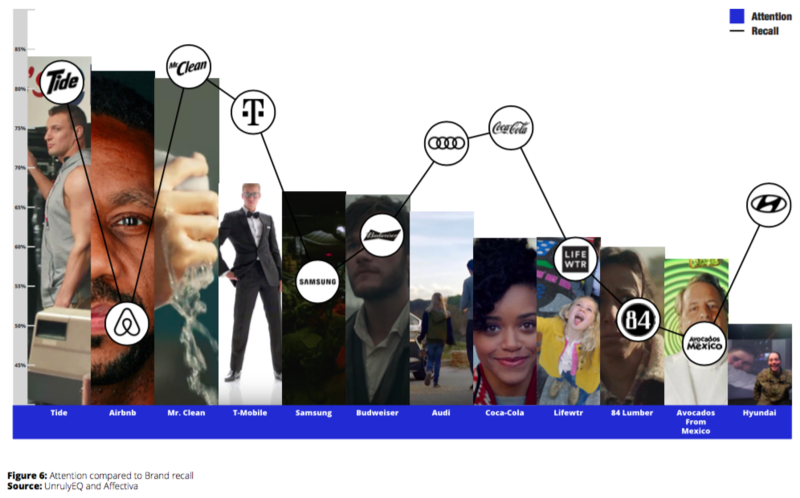 Fifty-six percent of overall shares went to just five ads, and Hyundai’s spot didn’t crack the leaderboard. The study cautions brands against assuming that strong Super Bowl performance will equal strong social results—good content has to be paired with strong distribution strategies and messaging that leans into emotional impact. "If that longer-form story is engaging throughout, the likelihood of there being meaningful moments to identify and cut down into 30- or 15- or 6-second videos is high," Sottile said. "If that engagement and intensity is not there in the long-form, it can’t exist in a 15 or a 6, either." Good social strategy is particularly key for millenials, 27 percent of whom don’t watch the game at all (overall, 23 percent of respondents skipped out). "For those consumers, it’s about building an affinity with the brand prior to the SuperBowl," said Sottile, particularly because the Unruly study found that age group doesn’t engage emotionally with ads at the same level as older viewers. "It goes back to understanding which emotions resonate with them"—as MountainDew did successfully two years ago with its divisive, viral "PuppyMonkeyBaby" campaign. While Hyundai hasn’t revealed details about their 2018 spot, they’ve promised that it will "surprise millions"—a hint that gimmicks and humor might be returning to Big Game ad buys after the anomaly of a politically-dominated 2017. Sottile said Unruly is tracking which brands choose to go this familiar route, especially since the Olympics, which begin less than a week after the Super Bowl, offer ongoing opportunities for high-viewership messaging around unity and pride. "This year, there’s another huge platform, and it will be interesting to see whether brands choose to go the statement route during the Super Bowl, or during the Olympics, which might be a more natural place to do it."